One of the many factors we’re trying to decipher is the lay of our land for a septic system. Ideally we would like the leach field to be downhill of the house and septic tank so we don’t incur added cost of a pump to raise it to the field. So a pressing question becomes what is the elevation of our land? One way to answer this question is by surveying our property using a level (which we will do and will post about it). But I am a tech geek and wondered if I couldn’t find the same information in higher detail than an elevation map (current one available to us is only 100′ resolution). Thus enters the world of space lasers !!!! LiDAR (Light Detection And Ranging) is a surveying technology that measures distance by illuminating a target with a laser light. 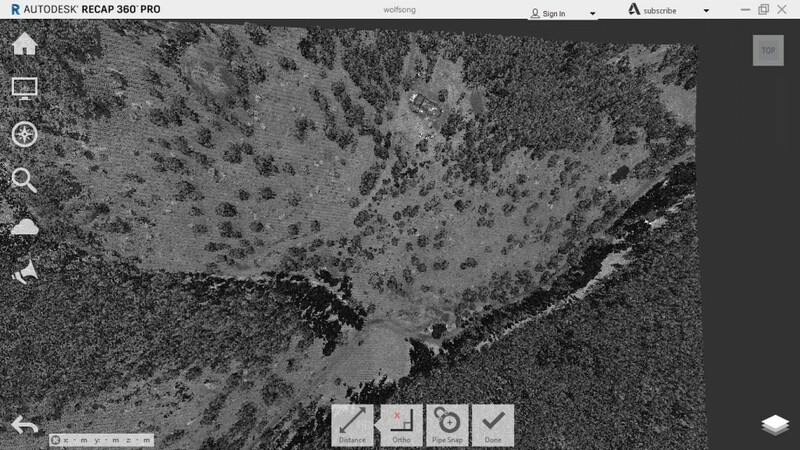 The USGS (U.S. Geological Survey) has publicly made available LiDAR data taken from various satellites. This LiDAR data is used by various public/private entities to understand the physical environment. I was able to go to the USGS website (http://viewer.nationalmap.gov/), zoom into our land, and select available data for that area (LiDAR, photographic, multi-spectral ,etc…). The LiDAR information is very high resolution for us (points spaced approximately 6 inches). The data comes in LAS format which I can import and work with in AutoCad. 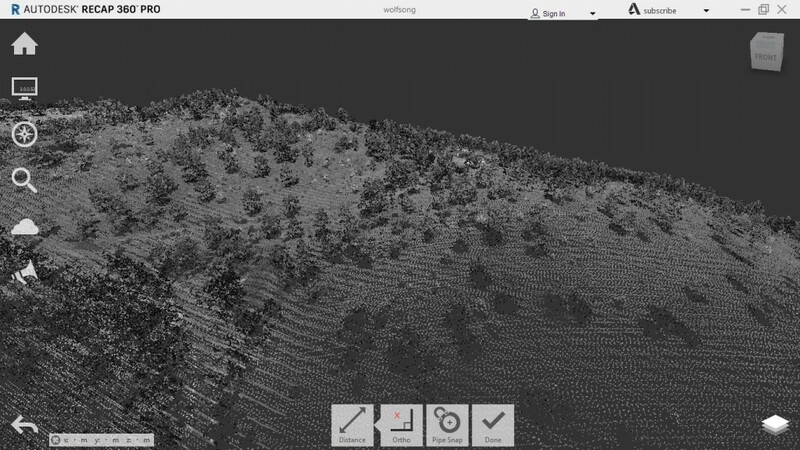 The LAS format is a standardized binary format for storing 3-dimensional point cloud data and point attributes along with header information and variable length records specific to the data. Millions of data points are stored as a 3-dimensional data cloud as a series of x (longitude), y (latitude) and z (elevation) points. With the LiDAR data in AutoCad I can click points on the map and calculate their vertical difference. Using this method I have found the area we’re interested in putting the leach field is lower than the house – which is great! Now we’re interested in seeing how this area looks in person and with a physical survey (more to come on that).